While that sounds like something a lot of people would say, it means something a little different to guys like Irving and Kizel. What Uncle Drew is saying is that young players have forgotten about the basic principle of basketball. Don’t confuse his words to mean that young players don’t care about scoring; what he means is that this generation of players — the And1 generation — is more style than substance. With Irving and Kizel, you don’t have to settle for one or the other: both are highly efficient scorers — Irving’s career shooting line is 46/39/86 while Kizel has shot 51/46/85 over the last two seasons; and both are opportunistic if, at times, inconsistent defenders and both use exceptional handles to create their own shot as well as open looks for their teammates. The chart on the left shows how as a rookie Irving excelled shooting wing threes and was effective finishing in the paint, two of the cornerstones of Kizel’s game. The right chart shows Kyrie’s second season, in which he continued to shoot wing threes at a scorching rate, but his mid-range game — another Kizel strength — improved dramatically. While he wasn’t as good around the rim in his second season, and he took more straightaway threes, Irving’s shot chart and effectiveness is very similar to Kizel’s. While Kizel’s scoring patterns and efficiency are on par with the superstar Irving, his visual game is strikingly similar to former UConn star Kemba Walker. Walker, who now sports Kizel’s #15 for the Bobcats, looks a lot like Kizel with the ball in his hand. Walker creates shots for himself, and his go-to move is a step-back jumper off the dribble that he can hit with just an inch of separation. His outside shots also have a hitch similar to Kizel’s, and he can be a spectacular finisher through contact around the basket. Much like Joey, Kemba made a name for himself in college stepping up late in games and late in the season. Damon: I really like this comparison. Kemba’s game on the court more accurately reflects Kizel’s style of play, although Kemba will over-dribble and force more bad shots. But his steal at the 1:12 mark of that highlight video is something we’ve seen Kizel do over and over again. If Kemba had Kyrie’s selectivity and shooting touch, he would be perfect. Leonard became one of the NBA’s best two-way players this season, complementing his great defense with an emerging offense. Like Jensen, Leonard is very active on the offensive glass and moves really well without the ball. (Both are especially effective flashing to the basket from the weakside baseline.) Particularly in the Miami series Leonard showed a knack for scoring in the paint, something Jensen does by creating good separation by leaning and then leaping off of his pivot foot or fading away in order to avoid defenders. Leonard has better range than his Middlebury counterpart, but Jensen has improved his jump shot and, if practice is any indication, will be able to stretch defenses further from the basket (ala Udonis Haslem) with a 15-18 foot baseline jumper this season. Like many athletic wings, Jensen and Leonard are best in space, and no more so than when they are converting defense into offense on the fast break. Leonard blossomed this season, and I think Jensen is going to have a phenomenal senior year and should wind up on an All-NESCAC team. The Leonard pick is a good one, but I’ll go in a different direction with Jeff Green. I picked Green because he is a versatile defender and is emerging into a big-time weapon on offense. While nobody other than LeBron can guard every position in the NBA like Jensen has in the NESCAC, Green uses his length and athleticism to be a versatile matchup tool for the Celtics. On offense, both are becoming more consistent as outside shooters and developing more moves around the post. Like Green, when Jensen gets going he can explode to the basket, draw contact, and finish. Finally, as we look to the 2013-14 season, Jensen, like Green, is going to be asked to carry more of the offensive load than ever before. The challenge for both players will be meeting their potential on a consistent basis. Koufos, the once highly-touted Ohio State recruit, has quietly emerged as one of the best defensive centers in the NBA. In addition to averaging 2.7 blocks per 48 minutes last season (Roberts averages a very impressive 4.5 per 40 minutes), Koufos ranked 6th overall in Kirk Goldsberry’s ranking of interior defensive presence, holding proximate offensive players to 39% FG shooting (compared to Dwight Howard’s 44%, Tyson Chandler’s 46%, and Joakim Noah’s 46%). Roberts has already established himself as having one of the strongest defensive presences in the NESCAC, and will be the rock in the middle of the Panther defense next year. Offensively, Koufos, like Roberts, lacks a polished post game but scores efficiently around the basket (58% FG, to Roberts’ 60%). Is Jack Roy Hibbert or Hasheem Thabeet? At his best he is a two-way player with soft touch, an alluring right-handed hook shot and promising range for a lanky, 6’8’’ center. At other times he looks like an entirely different player — tentative on offense and a step slow on defense — leaving those who watch him wondering if he will or can consistently play to his potential. There are reasons to be optimistic. First, Roberts finished the season well, with a number of dominant defensive performances and perhaps the best game of his career against North Central when Long Jack had 10 points on five-for-six shooting and six rebounds. If Roberts can consistently contribute on offense and become the dominant defensive player he shows flashes of, it will go a long way to filling the voids left by Andrew Locke, Ryan Sharry and Peter Lynch. The second reason to be hopeful is that big men typically develop later in their careers — something true of all three of those guys (Sharry’s was more accelerated) — and Roberts has made significant strides and put together stretches of strong play. Can he do it for a whole season? Hibbert is a good road map for a big man who finally put all his tools to work, and Sam Presti and the Oklahoma City Thunder hope Thabeet can do the same. Damon thinks I can’t pick a retired NBA player but I’m sticking with Antoine (he played in the D-league in 2012!). This is another style-of-play comparison, since Merryman is a far more efficient shooter than Walker. Walker could body with the bigs down low but did a lot of his scoring from beyond the arc, much like Merryman (From 2001-2003, Walker finished, 1st, 2nd, and 2nd in the NBA in 3FG made). But also like Walker, Merryman is an underratedly complete offensive player who can drive to the basket and score in the post. Both players are fluid with the ball in their hands and agile for their size. Plus, Walker wore Merryman’s #24 at Kentucky (no word on whether Merryman will take #8 in the NBA). Yeah, I think this is cheating! Antoine Walker’s closer to becoming an NBA coach than he is a player — and he’s not particularly close to either. I do, however, see the strong comparison between the two. Fortunately, I think Anderson is an equally strong comparison. Anderson is primarily a catch-and-shoot guy, but has good spacing, will put the ball on the floor from time-to-time and has an underrated post game, as well. Allen earned the name Trick or Treat Tony early in his career because his team was either going to get a really good performance or a really bad one. Similarly, there’s not much middle ground for Bulluck; he is the ultimate wild card off the bench. We’ve seen him spark roaring runs when he’s on the floor and we’ve seen him yanked just moments after coming off the bench. He’s a big-time competitor and when it translates effectively into his play, Bulluck combines rare athleticism and reckless determination. If he can find consistency the way Allen has, Jeff Brown will have another great athlete to bring in off the bench. While I like the Allen pick for Bulluck’s shutdown defensive potential, I’m going with Stephenson for a few reasons. Bulluck and Stephenson are both 2-3 combo players who can provide a spark off the bench. Neither is a polished enough ball-handler or decision-maker to run the point, but they can drive hard to the basket and draw fouls against most defenders. Bulluck will be asked to shut down some of the best outside scorers on opposing teams next season, and like Stephenson, should be able to use his strength and size to do so effectively. Though we haven’t seen it in games, Bulluck also might have the best dunk game on the team. Like Ellington, Brierley is at his best when he is taking, and making, spot-up threes. Brierley played through injuries last season and never regained his 2011 form, but can be an Ellington-type presence off the bench for Middlebury. Both players are two guards who are strong outside shooters but limited in their ability to draw fouls or create shots of their own. On the other end, neither will ever be a Bruce Bowen Nolan Thompson, but both are surprisingly effective, hard-working defenders. Brierley’s Southern Vermont game is Ellington’s Miami game. You realize that nobody who’s reading this has ever seen Wayne Ellington play, right? More people reading this have seen Dean play — and that’s not an insult; there are few NBA players less relevant than Wayne Ellington. Even Antoine Walker is more relevant! And Miller’s a better comparison in any case. The Heat forward is a good spot-up shooter with deceptive size that allows him to play the two in big lineups and the four in ultra small ball lineups. He’s a good rebounder and can handle the ball when necessary. Jeff: Ellington’s a good pick. Maybe you should watch more basketball. Damon: I keep telling myself that. Unfortunately, after the playoffs no one can think about Splitter without thinking of all the hellacious dunks that he was on the wrong end of. And if they’re not thinking about Splitter being dunked on, they’re picturing LeBron’s epic rejection of Splitter’s own dunk attempt. Somehow the 2013 playoffs turned him into this generation’s version of Shawn Bradley. All this is to say, being compared to Tiago Splitter shouldn’t be thought of as an insult. Splitter has very good hands and is deft around the basket going to both his left and his right. 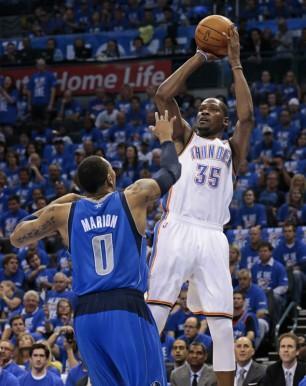 People don’t go to the arena to watch him play, but he is the kind of rotational big that winning teams covet. 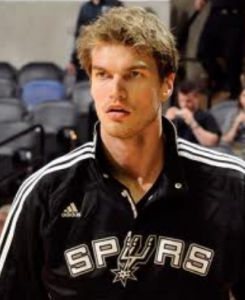 You didn’t even mention that Tiago Splitter and Chris Churchill are by far the best look-alikes on our list. Would anybody notice if Church kidnapped Tiago and suited up for the Spurs? Maybe Jeff Brown can get Tiago out of the deal and start him alongside Roberts. Anyway I’m going with Robin Lopez here because, like Churchill, Lopez is a tall center who has nice finishing ability around the basket. Both use their long arms to go right or left in the post effectively, but haven’t integrated good shooting or ball-handling into their offensive game. I’m not saying Pendergast will turn into one of the best shooting guards in NESCAC history, but his explosive style of play reminds me of Wade. Both are slashers who drive hard into traffic, draw fouls, and can finish at or above the rim. Like Wade, Pendergast is an aggressive defender who uses his athleticism, length and quickness to force bad plays and turnovers. For now, both players are limited to driving to the hoop for most of their buckets, but I think Pendergast could develop into a better outside shooter. This one is pretty straightforward: Pendergast is a combo guard (for the time being) with explosive athleticism. He is a tremendous leaper and has great size for his position. The question is whether he can handle the ball well enough and develop his shot to play the one or whether he will eventually transition off the ball and play the two (ala Dwyane Wade). Here’s to hoping for the former. Both Nascimento and Cook have such a high release point on their three-point jumpers that all I think when I see them rise and fire is .GIF NOW. Their jump shots are so pretty that you kind of stop caring if the ball goes in or not after they release it. Watch Cook’s first three-point shot on the video below. Hubie Brown has seen a lot of basketball and he interrupts his train of thought as the color guy to say, “Oh look at that.” Nascimento’s form has the same effect right, Jeff? Sorry what? I’m still watching my Nascimento .GIFs. While Crawford’s shot is not of the Cook-Nascimento variety, he makes sense for me as a role pick. Both Nascimento and Crawford are score-first shooting guards who can provide baskets in a hurry off the bench. Defensively, both play primarily off the ball, as neither can stick with ball-handlers their size. Offensively, both will look for their shot when they are on the court and the second team can live or die with the results. Nascimento, to be fair, is a better decision-maker than Crawford. If you’re not on the Matt Daley bandwagon yet, welcome to the Matt Daley bandwagon! It may seem absurd to compare someone who played in just 80 minutes all season and attempted exactly zero threes to a three-time NBA scoring champion who just joined the 50/40/90 club, but Daley has all of the raw, physical tools and incredible range for his size. At 6’8 he appears lanky, but is smooth on the court. In practice he’s the guy you always keep an eye on, whether it’s shooting threes in the transition drill or dunking at game speed in the low post. He needs to become a more consistent offensive player and hold his own on the defensive end, but Daley will be a force in the NESCAC if he figures it all out. While Daley looks more like Durant when he is on the court, Gallinari’s game is more representative of the type of play we can expect from the sophomore. Gallinari is an offensively talented 3-4 combo who is effective from midrange and three point land. Like Daley, his offensive potential is high (Gallinari was the 6th overall pick in the 2008 draft), as he has a remarkably smooth shot for his height (Gallinari is 6’10”; Daley is 6’8”). It is reasonable to project Daley into a Gallinari-type role next season, hitting perimeter shots over defenders, while perhaps adding more of an inside scoring game as well. Damon: This is a really good comparison, not least of all because it runs a close second to Churchill-Splitter as the best look-alike. I think the biggest difference between Gallinari and Daley (as far as NBA/NESCAC comparisons go) is Daley’s explosiveness. You don’t see many guys with his athleticism at the NESCAC level. Nidenberg is not a great athlete, but has the body and post moves to become a productive player. He’s got more size than Peter Lynch, who had a tremendous senior season as an undersized, gravity-bound four. There aren’t a whole lot of those in the NBA, but Glen Davis can count himself among the lucky few. Before getting hurt this season, Davis was having a career year, averaging 15 points and seven rebounds a game, which, coincidentally, is basically what Lynch averaged his senior year. It might take a year or two more, but Nidenberg could turn into that kind of player. I almost went with Davis before you made your pick, but thought he looked less solid in the post than Nidenberg (Davis often scores with nimble, crafty moves). But then my other ideas (Jason Maxiell, DeJuan Blair) were worse, so I’m giving your pick my measured endorsement. Like Sefolosha, Huff is a big shooting guard who can handle the ball and hit outside shots, but might become more valuable for his ability to guard wing players. Sefolosha shot an impressive 42% from three last season, and Huff has shown some similar spot-up ability. The biggest difference is likely Huff’s ability to score from all over the floor, which he displayed in limited minutes last year. Watching Huff in practice you get the sense that he is always doing something on the court, even when he’s not directly involved in a play. He has deceptively good range and appears to be a plus defender. He’s not long like Sefolosha and won’t attract much attention on either end of the floor, but he seems suited to play an important, if underappreciated role, as Battier had done almost his entire career before getting his fair share of attention (and deservedly so) in Miami over the past two seasons. When healthy, Alvarez is a pesky defender who can shut down ball-handlers and wing scorers. Like Bradley, he can hit spot-up jumpers and take some of the ball-handling duties. Damon: I can co-sign here. The biggest similarity between their offensive games isn’t their spot-up jump shooting though, it’s their slashing and basket cuts without the ball. Given his cross-sport aspirations, I was thinking maybe Antonio Gates, but Ibaka is a better fit. Obviously Ibaka is known for his blocks, and Sinnickson is not there yet, but I see a lot of similarities when I look deeper into their games. The first two things I think of when it comes to Sinnickson are his mid-range jumper and his elite athleticism. The Ibaka comparison hits the mark in both categories. Serge has developed into one of the better mid-range shooting bigs in the league (though he lacks the Sinnickson-style elevation on his jumper), and he is one of the best athletes in the league. Like Sinnickson, Ibaka has yet to utilize his athleticism to be a complete defensive player (Ibaka is overrated). I also expect Sinnickson to develop a better perimeter game next season, much like Ibaka has. Serge Ibaka is an unconventional pick for Sinnickson, but I really like it. The biggest difference between the two, however, is Ibaka’s inability to handle the basketball. Sinnickson, much like Smith, doesn’t have a defined position. He’s certainly not a back-to-the-basket player and his emphasis appears to be on improving his outside range, something Smith has done with moderate success. (It would help if he didn’t take 201 threes as a 30-percent shooter from beyond the arc). Because Smith does not appear musclebound (and playing for the Hawks hasn’t helped), people tend to forget that he is one of the NBA’s elite athletes. Like Sinnickson, Smith is best in transition where his explosiveness and ability to handle the ball make him something of a human highlight reel. Both also make head-scratching plays from time to time, Sinnickson most often on the defensive end where he can be overly-aggressive. Ultimately Smith’s offensive game is far more polished than Sinnickson’s, which is why your Ibaka pick so good. Add Smith’s ball handling abilities and his positional versatility and we have a pretty good comparison. Two years ago I sat in on a couple of practices during the spring and came away really impressed with Eamon’s game. In one-on-one drills with the other big men he displayed a number of inventive post moves to great effect. Like Blair, however, Cuddy suffers from chronic knee problems that have halted his collegiate career. Blair, meanwhile, looked to be the steal of the 2009 draft when the Spurs snagged him in the second round. Instead, he has been buried on the team’s bench after falling out of favor with Gregg Popovich. All hope is not lost, however: Blair is a free agent and will likely be signing somewhere his skill set is more valued or needed. Hopefully Blair’s increased role on a new team coincides with a healthy Cuddy. I like the Blair comparison (you had me at “chronic knee problems”) and I’m going to defer to you, since I’ve only seen Cuddy play for about five minutes. From what we hear, if he can get back from the knee injury, he could still be a strong interior presence in his final two seasons. Agree, disagree? Let us know in the comments box below! This was written by Jeffrey Hetzel. Posted on Thursday, June 27, 2013, at 4:49 pm. Filed under Men's Basketball. Bookmark the permalink. Follow comments here with the RSS feed. Post a comment or leave a trackback. What you failed to mention about Jenson’s comparison to Leonard is that like Leonard in Game 6 of the Finals, Jenson always finds a way to miss key free throws at the end of games when Middlebury needs him to make them most. Give some examples of such instances from the 2012-13 season. Jensen shot 19-22 in the 2013 NCAA tournament, which would be the college analogy to the NBA playoffs. That’s 86% shooting for a lanky big man in college basketball on the biggest stage in the biggest moments. So if your claim about Kawhi not being clutch was true (which it isn’t), Jensen would be a bad comparison in that regard. ‘If you’ll allow a mini-rant: The widespread use of the word “choke” on Wednesday irritated me. The Spurs “choked,” according to some talking heads and lots of fans on Twitter; even a San Antonio radio host suggested they did, and asked me whether I agreed. Kawhi Leonard “choked” because he missed one of two foul shots with a chance to put the Spurs up by four with 19 seconds left. Manu Ginobili “choked” because he missed a free throw nine seconds before that — and because he couldn’t stop throwing the ball to the guys wearing the WHITE HOT uniforms. Gregg Popovich, the greatest coach in the league by a considerable margin, “choked” because he sat Tim Duncan on two late-game Miami possessions that resulted in Heat offensive rebounds and nut-punch 3-pointers. • Leonard, alleged choke artist, scored four of San Antonio’s five points in overtime. One Spur made baskets in overtime. His name is Kawhi Leonard. These are overtime baskets in the freaking NBA Finals — by definition some of the clutchiest baskets that could possibly exist in sports. Do people realize this happened? Did I hallucinate that Leonard was the only San Antonio player to score a basket in overtime? He also had 22 points and 11 rebounds, and has played sensational defense on both LeBron James and Dwyane Wade for large portions of this series. Over the full six games, I’m not sure any Spur has been better overall. Cool as a cucumber, baby. Seriously: Watch the Spurs bench after Chris Bosh rejected Danny Green’s potential game-tying buzzer shot. Two assistants leap to their feet and point, furiously, at Green on the floor. DeJuan Blair strides on the court, shouting. Matt Bonner puts both hands over his head in disbelief. Even Tracy McGrady at least gets up from his seat and begins to walk away. Leonard just sits there, staring, expressionless. I agree that Matt Daley is going to surprise people big time. Great size, surprising range and low expectations in his sophomore season. Can’t wait.